A picky eater becomes a Registered Dietitian. Hello everyone 🙂 A few years ago I would have never touched a beet (hence the name of the blog). 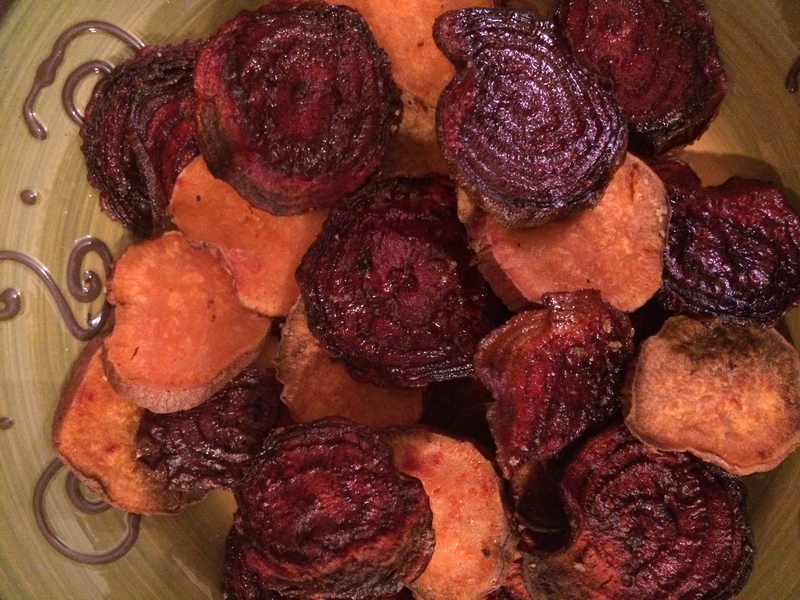 But, a few nights ago my mom and I tried an experiment…Sweet Potato and Beet Chips!!! They were delicious and I highly recommend trying them. This is a great recipe to get that feeling of crunch that chips give you, just in a healthier way. They are also super easy to make, I promise! You can also use more or less sweet potatoes or beets than I did depending on how many people you are baking them for. 1. Preheat oven to 400⁰F. 2. Clean sweet potatoes and beets. 4. Melt coconut oil on stove. 5. 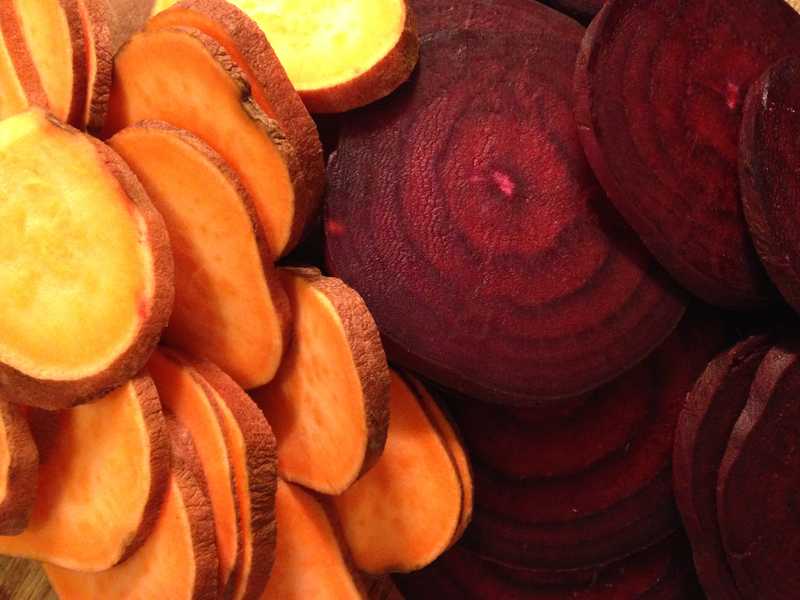 Toss coconut oil and Fleur de Sel into the beets and sweet potatoes. 6. 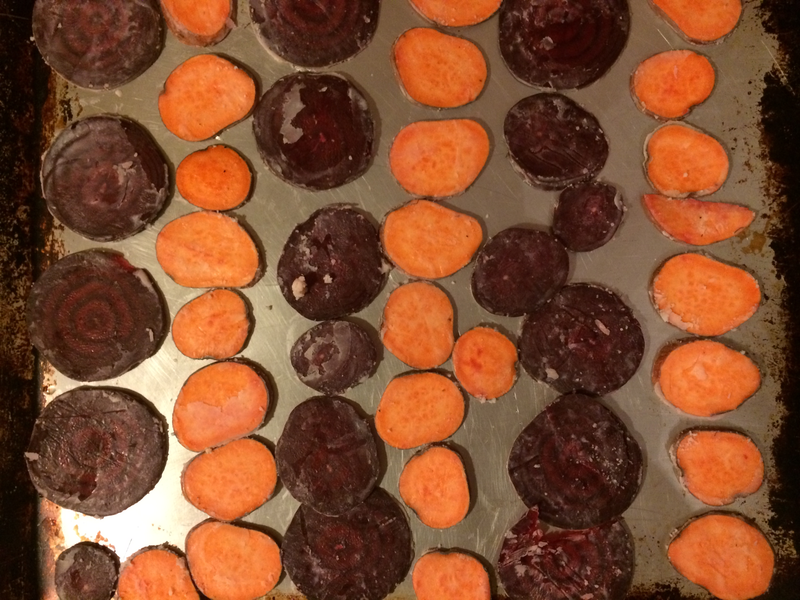 Spread beets and sweet potatoes onto a baking sheet. 7. Bake for about 40 minutes or until lightly toasted. Watch carefully to make sure they do not burn. Sweet Potatoes are a good source of beta-carotene and Vitamin A, which help improve eyesight and may prevent some types of cancers. 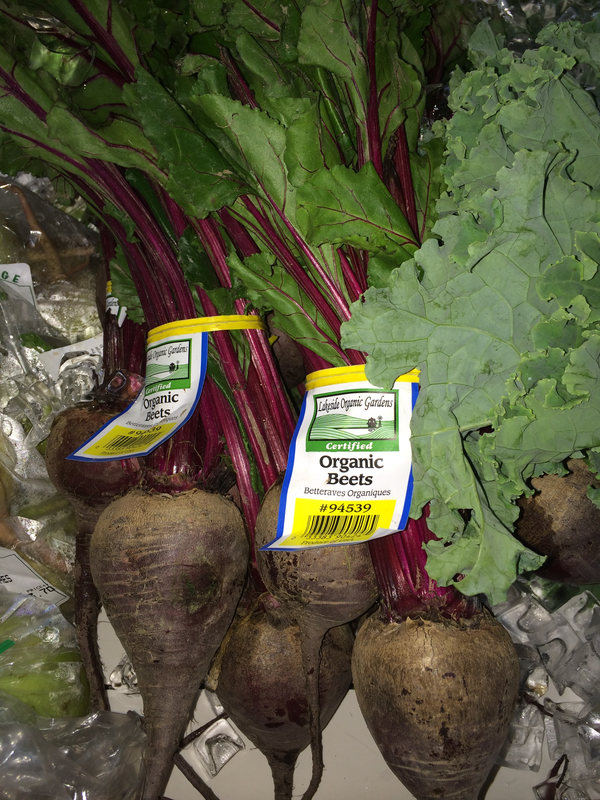 Beets contain Betaine to keep your heart healthy. Both are a great way to up your intake of vegetables for the day! **This recipe is a bit high in Sodium so if you are watching your Sodium intake cut out some of the salt or you could use another seasoning like Mrs. Dash. Wow the colors are so pretty! Even before I try to make these I already love the idea of NOT peeling the sweet potatoes. I cook with them and roast them a lot and I bet leaving the peel on adds to the fiber. These will be fun for a party. Thanks for a great recipe and post! Hi, my name is Kristen. I am a Registered Dietitian, pineapple lover, foodie, amateur chef, and picky eater! 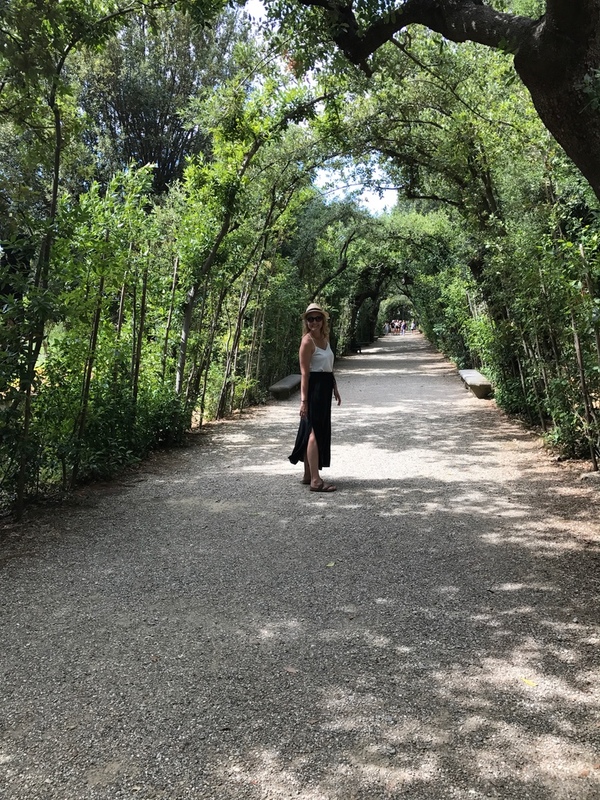 Follow my journey and together we can live longer, healthier lives!